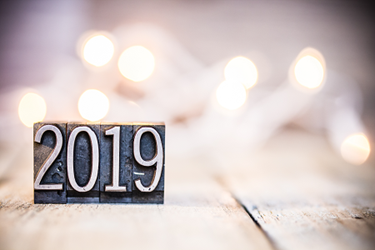 As 2018 is coming to a close, it’s a good time to reflect on some of the top IT trends that impacted retailers this year and consider what’s ahead for 2019. I spoke with retail management platform Vend for their insights on the biggest changes they're seeing in retail right now and beyond. “Chore” Shopping is Becoming Easier. When it comes to shopping, there are basically two categories: Chore - the commodities we buy over and over such as paper towels, toilet paper, and groceries, and cherish, which are the special purchases we look forward to. The first category is something many of us want to make easier, and that’s exactly where retailers like Amazon shine with their subscription-based offerings, auto renewals, one-tap purchasing and fast shipping. Amazon isn’t the only retailer making chore shopping easier: Wal-Mart, Target, CVS, Best Buy, Office Depot and OfficeMax, Staples, Macy’s, FTD, Godiva and several grocery chains are following suit. Third-party companies like Instacart are playing a key role in the same-day delivery trend, supporting merchants like Whole Foods, Costco, BJ’s Wholesale Club, Petco and Publix with fast fulfillment. “Cherish” Shopping is on the Rise, Too. With so many department stores leaving malls and some going out of business altogether, some may think that brick-and-mortar retail is going away. But the exact opposite is actually happening. According to research from the IHL Group, over 4,000 more stores opened than closed among big chains in 2017. “Traditional store formats may be on the decline, but innovative stores — ones that offer great shopping experiences — will continue to emerge,” says Sanford Stein, author of RETAIL SCHMETAIL and founder and moderator of RETAIL SPEAK. Smart Retailers Listen to their Data. In the digital age, we’re all inundated with information. But savvy retailers are using the latest data analytics solutions to turn this deluge of data into actionable information. A case in point is Singapore fish merchant Dish the Fish, owned by Jeffrey Tan. When he started the company in 2015, he purchased iPads along with an iOS-compatible cloud-based point of sale (POS) solution from Vend. When a customer makes a purchase, Tan selects the item from a dropdown menu on the iPad and multiplies the price-per-pound by the weight. In addition to being able to quickly see his sales at the end of each day, the app provides him with lots of other useful data points such as the top selling fish, how quickly a particular fish sells out each day, and it gives him customer profile insights. Tan admits that the software sometimes reveals surprising insights about customers’ preferences. “I used to order a lot of the ikan kuning [fish] when I’m at the port, because I thought it sold really quickly,” he says, referring to an inexpensive fish. When he reviewed the hourly data, however, he was surprised to find that the leather jacket, which was a slightly pricier fish, sold out faster. What’s in Store for Retailers in 2019? More Collaboration Between Manufacturers and Brands. One of the things that’s made traditional brick-and-mortar retail feel so stale is the disconnect between the retailer and the manufacturer. If you’ve ever asked a store associate at a big box retailer about a product — either before or after making a purchase — you can most likely relate to this example. But, thanks to retail as a service companies like B8ta (pronounced “beta”) the disconnect is disappearing. B8ta incorporates sensors and tools in its stores, which enable it to monitor product performance. The company shares data, such as foot traffic, with product makers through an online dashboard, provides them with key data points such as how the product is performing at other locations, and enables them to adjust their showroom settings in real time. If a display was performing below average at a location, the manufacturer could consider changing the location or look of the display – or training retail associates. Lowe’s is incorporating B8ta’s technology services in 70+ stores to provide customers with a test lab experience within its stores for customers evaluating security systems and other smart home products. Macy’s is also now partnering with B8ta to enhance and expand its experiential-based retail concept The Market @ Macy’s. If you look at all the key trends happening within retail right now, they can all be summed up in one word: adaptation. The retailers that have stumbled and either closed some or all of their stores in recent years were the ones who were unwilling or unable to adapt to their customers’ changing needs. While it’s impossible to predict the exact future of retail, there is a group of people who have that information for your company and they’re willing to share it if you’re willing to listen — your customers.